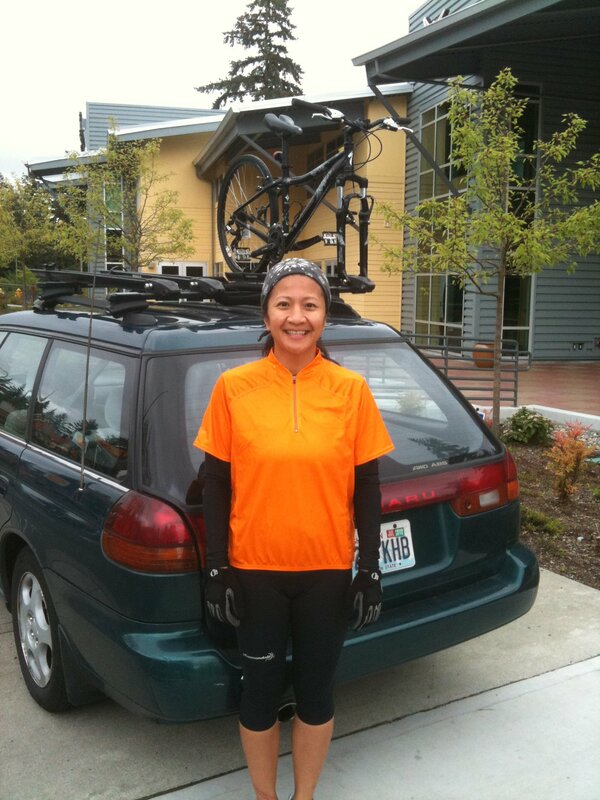 On April 30, 2010, I rode my mountain bike solo from Bellevue/Eastgate to Tacoma/E. 72nd Street. Crazy, I know. Many in my faith-family cheered me on. Their prayers are what got me safely to what was the originally planned “turn-around” spot in Bellevue. I arrived at the Tacoma campus around 7pm, and it was too dark, wet and cold to ride all the way back to Bellevue so a friend came to my rescue and gave me and my bicycle a “car” ride back. This year, a small group of brave riders will join me. It’s two weeks sooner than anticipated. But as most “Champions” will do, we’re all taking on the challenge. 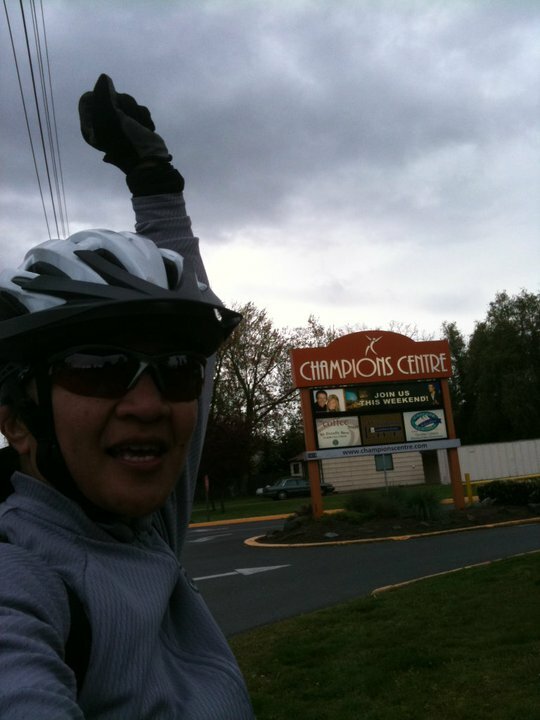 Last week, in heavy rain, three of us rode the first course planning route from Champions Centre Bellevue campus to Ikea District part of the Interurban trail in Renton then back. My legs weren’t quite ready, and I ran our of much needed body fuel due to the unscheduled one-hour pit spot at Center Cycle. I didn’t wear the correct gear so I got soaked, and my body temp drop to unsafe level. So, Dave and his team were kind enough to put me in dry top and rain gear. Love those guys! They helped me gear up for last years ride as well, tuned-up my bike, and put slicks on my mountain wheels. At 12noon today, again in wet, Northwest conditions, we’ll finalize the first part of the route for Tour de Champions Liberty500 ride for Saturday, April 16, 2011. The Why: To support our church’s biggest campaign of the year, a group of us are riding our bicycles from our Bellevue campus to our Tacoma campus and taking pledges. I’m excited about setting a faster pace this year since I will have friends along for the ride…quite literally. “Attend” the Facebook Event “in spirit” to show your support. Please help me with a pledge of any amount toward our group goal of $500. Donate now.